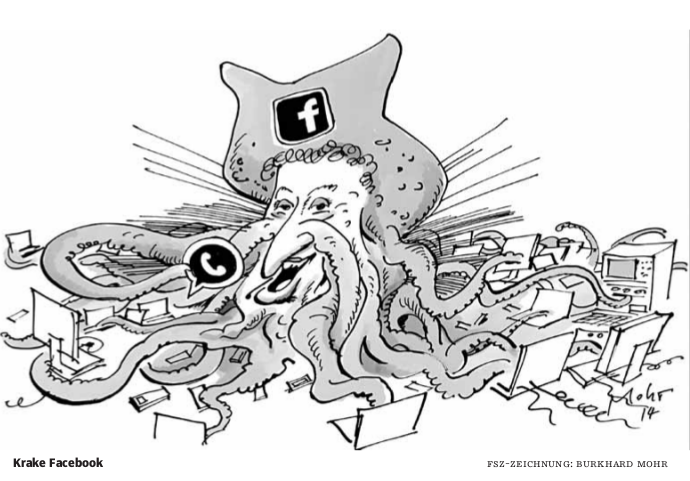 BERLIN – A cartoon published by Munich-based Süddeutsche Zeitung (SZ) last week depicting Facebook founder Mark Zuckerberg as an octopus controlling the world with his company brought to mind a cartoon from 1938 Nazi Germany, the Simon Wiesenthal Center said Monday. Mohr said he was “shocked” that his cartoon appears in this light. It is unclear why Mohr’s cartoon appears in two different variations. One showed Zuckerberg with a long nose and a second without a hook-style nose. Last year, the SZ published a cartoon showing Israel as a demonic monster. The cartoon was widely criticized for depicting Israel in classic anti-Semitic terms. Frankfurter Rundschau: Keine Antisemiten, nirgends!